Twenty years after he was killed for being gay, Matthew Shepard was laid to rest today. 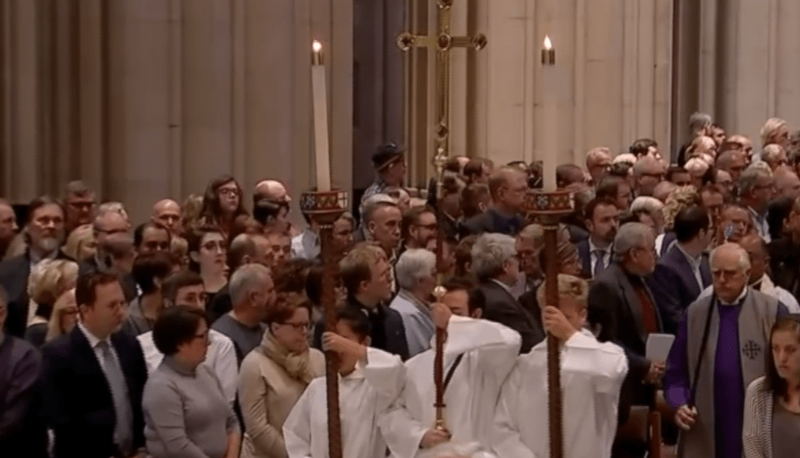 Shepard was given a special honor of being laid to rest at the Washington National Cathedral. Shepard’s father said today was a sense of relief. Shepard died after being beaten and tied to a fence in Wyoming by two men who targeted him for being gay. Shepard became a symbol of the gay rights movement after his death, and now, his ashes will be interred at the Washington National Cathedral. “The Shepard’s waited so long to bury Matthew’s ashes because they were fearful that some anti-gay individual or group would find his grave and desecrate it somehow,” says Rev. Gene Robinson, who helped lead Friday’s service. Robinson was the first openly gay bishop in the Episcopal Church, and he carried Shepard’s ashes into the cathedral. “And because he’s become such a symbol for us, it feels like an indescribable honor to bring him into church,” says Robinson. The National Cathedral gave Shepard the unique honor of being laid to rest there. It’s also where President Woodrow Wilson and Helen Keller are buried.